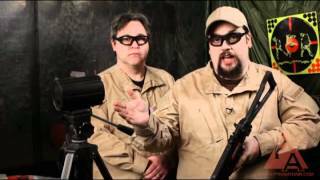 Elite Force reviews the H&K MP5 A4 Elite AEG. These Dan Wesson pistols are hard to put down! 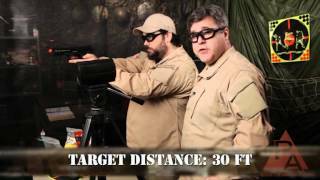 See what Storn and Barry have to say about these accurate and fun shooters! 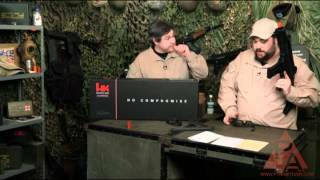 Barry and Storn review the H&K MK23 USSOCOM gas blowback airsoft pistol. Watch to see this pistol's average velocity, accuracy, detailed specifications and their final opinions of the weapon. 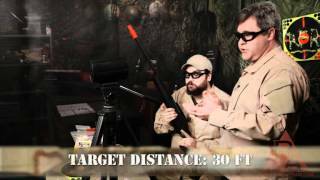 Rapid Fire Review take a look at the King Arms Blazer R93 LRS1 airsoft rifle. Light, solid, adjustable, hi-cap, and powerful - good all around sniper. 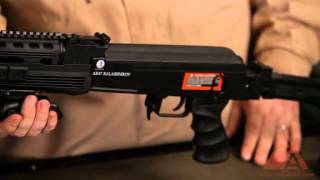 Rapid Fire Review brings you the licensed Cybergun AK47 Kalashnikov AEG airsoft rifle. Click the link above to see more specifics about the rifle, including a limited time special! Check out the most up to date review on the G36C. KWA's continuous improvements of their already stellar products really show in this robust, durable, powerful and yet accurate AEG. Solid, powerful, accurate...so many rails it looks like a train yard! Mount everything you've got! 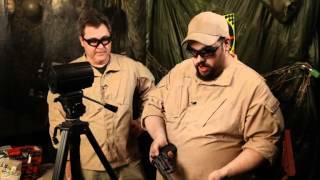 The Rapid Fire Review team test the submachine airsoft gun that will put a smile on any airsoft enthusiast's face! 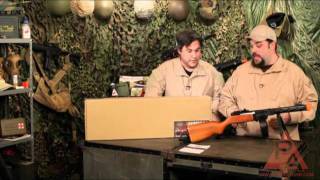 Made of a solid wood and metal stock, highly accurate AEG shooting, and impressive power, this realistic replica of the Russian submachine gun is more fun than one may assume with a first glance!